Environmental remediation has brought significant improvements to industrial sites and surrounding communities throughout the nation. It's also become notorious for high budget overruns and frequent schedule delays, as environmental remediation's technological aspects become subject to political, managerial and economic concerns. Modern Project Management (MPM) Processes offer a new framework for remediation programs, geared to increased efficiency and precise troubleshooting. 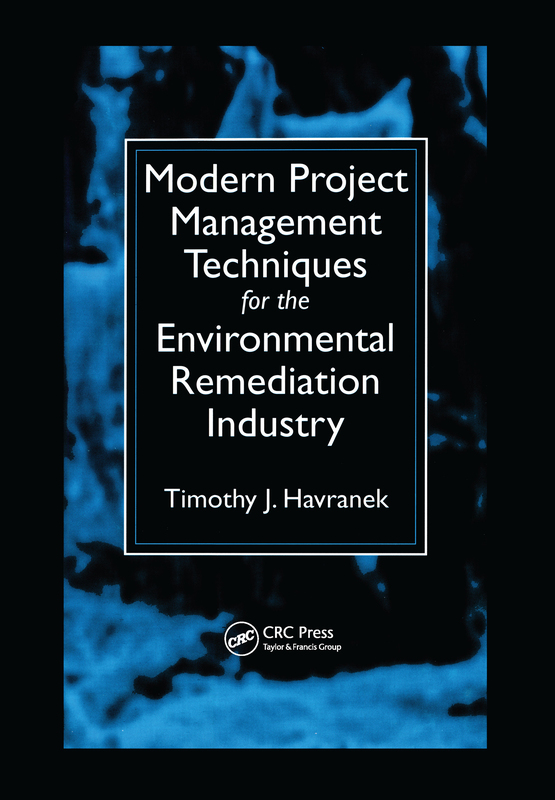 Environmental consultant and certified project management professional (PMP) Timothy J. Havranek has helped various companies put MPM into practice: now, he brings his techniques to the environmental remediation industry at large. Melding traditional project management structure and advanced strategic planning techniques to the needs of environmental remediation, Modern Project Management Techniques for the Environmental Remediation Industry presents this major innovation: a standardized planning process, applicable to all types of remediation projects. Every participant in an environmental remediation effort can mutually benefit from Modern Project Management Techniques for the Environmental Remediation Industry. Environmental consultants will discover precise budget and schedule-planning skills-quite an advantage in their increasingly competitive industry. Customers will also know what to consider when selecting an environmental services company, and discover advanced methods for reducing project costs and durations. MPM: it's bringing new vitality and purpose to environmental protection. Put it into practice with the benefit of Havranek's real-life experience.